Indie Retro News: A1200.Net compatible Keycaps for Amiga computers is a Kickstarter success! A1200.Net compatible Keycaps for Amiga computers is a Kickstarter success! It's with great pleasure and excitement to announce A1200.net's Kickstarter campaign for the Amiga keycaps is now a Kickstarter success! What that means is after the very successful crowd funding campaign for the latest Amiga cases also by A1200.net, which gave you a choice of wicked case colours such the special perks by Scoopex and Skidrow, you'll now be able to make the case complete with a brand new set of coloured keycaps! 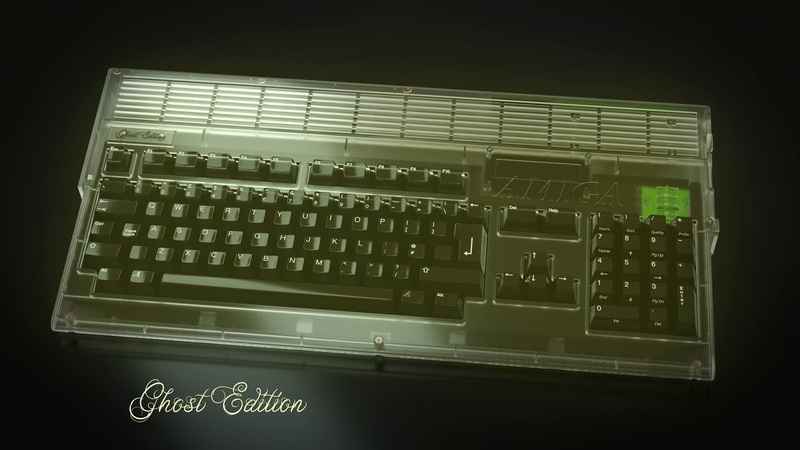 So basically no longer will you have to put up with a yellow Amiga, nor will you have to hard mod your case to fit accessories or worry about a dodgy respray job. In truth I have been hoping this was a success because it was all very well having a brand new Amiga case in my hands in a choice of colours and ready for accessories such as a HxC, but what's the point of a new case if your keys are damaged, mucky, or going badly yellow without a good retrobright. So now thanks to this campaign and yes your huge support, I can finally have an Amiga that looks like it came straight out of the factory. Check out this Ghost Edition with glowing effect, WOW! What a great day indeed, so head on over to the Kickstarter page and give them that little bit extra so it stays a success. Oh and when your case and keys are complete, make sure to post them in the Commodore Amiga Facebook group, it's going to be AWESOME!